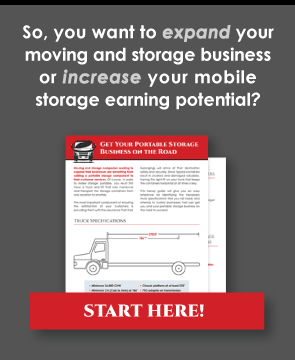 There is no question that the mobile storage industry is exploding. Mobile storage containers are being used for just about anything you can think of. As you may have noticed in your own town, there are many uses for mobile storage containers in a business. Mobile storage businesses are renting units for moving household goods, renting to contractors who need to store furnishings during a restoration, or storage for tools on a. The storage containers are used in retail for overstocked item storage, especially during the holidays. Homeowners will use mobile storage containers to declutter their homes before putting it on the market, or, use them to store items they want to use in a new home while their home is under construction. Professional businesses that need document storage will use mobile storage containers. Document shredding businesses that need to gather documents to shred, will use storage containers to take those documents to their facility for shredding. Event planners and rental industries use them for pick-up and delivery of party items, tables, chairs, etc. The moving and storage industry is seeing the potential of containerized moving in their businesses to capture the do-it-yourself market they once had no access to. The list goes on and on. Let your imagination be your guide. Probably one of the best uses of your mobile storage containers is for business branding and advertising. What is your brand? Simply put, your brand is your promise to your customer. It tells them what they can expect from your products and services, and it differentiates your offering from your competitors’. Your brand is derived from who you are, who you want to be and who people perceive you to be. Create an Appealing Brand Message: A mobile storage container sitting outside your business is already a billboard or branding vehicle. Customers see your large storage container with your business name, phone number, or message and they will associate your business with it. Spend time and effort on what you put on your containers. Adding your logo or a picture to the container will show people your business’s personal sense of style. It is important to show your branding message, and that you have something to say, or advertise. Consider stacking multiple containers and placing a banner on the uppermost container to get your message noticed and above the “noise” of everyday life. Increase Advertisement, Increase Rentals: When customers rent your containers for any of the applications mentioned above, you have advertising potential all over town. The more you get your name out on the street, the more recognizable your business will become. When customers come to you they will say they saw your containers at a neighbor’s house, at an event they attended, or at a business they frequent. Eventually customers will tell you they want to use your company because your containers seem to be everywhere. They associate mobile storage with your company. Your storage containers can literally be your marketing and call generators. If you own containers, why not let them work for you? Network with Other Businesses to Increase Advertisement: Finally, if you have business relationships in your town, see if you can network with them and put your mobile storage container on their property and share space on your container with them to use as advertising. For example, a retail store using your mobile storage container for excess or seasonal inventory can effectively advertise their specific products or sales with signs on the container. Remember, while the mobile storage industry is booming, take advantage of the multiple uses of your storage containers and use them as advertising tools. By taking time and effort to develop your branding message to put on the containers, you can effectively create the best marketing and call generator for your business, and get the best bang for your marketing budget dollar. Since you have a fleet of mobile storage containers why not let them work for you.